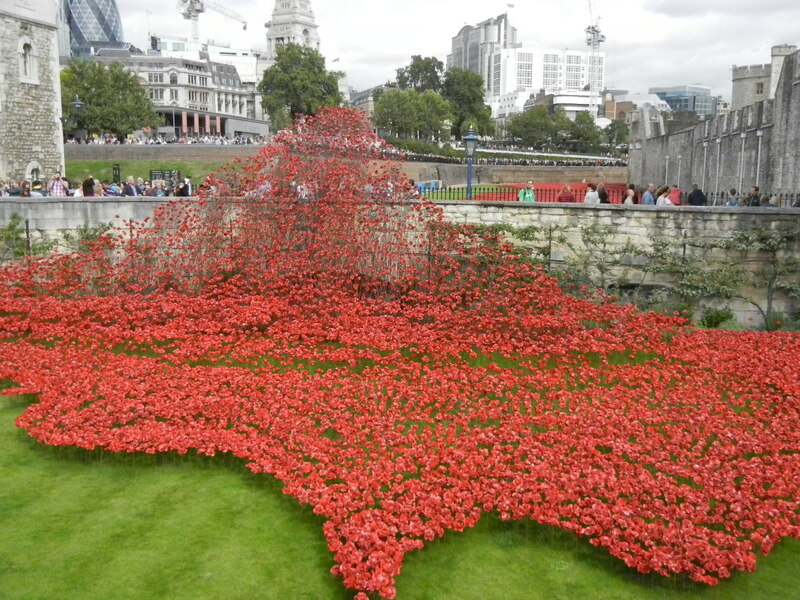 Last weekend I had the pleasure of planting poppies in the moat of the Tower of London. To mark the 100 year anniversary of the First World War, 888,246 ceramic poppies designed by artist Paul Cummins are being planted, one to represent each British soldier who lost their life. Planting started on the 5th of August and there is already a striking sea of red in the moat. I got a lovely sunny morning to volunteer; the rain had cleared during the night and left the ground soft and easy for my feeble arms to drive the stems into. The poppies are planted so close together at varying heights to look like waves and every so often we were asked to plant a tall poppy within the cluster. 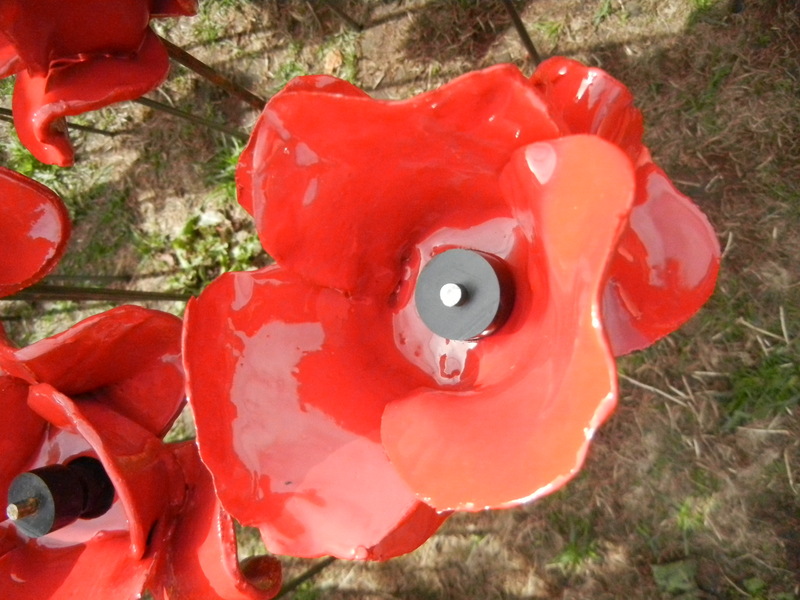 The ceramic work was beautiful; every poppy was unique and natural looking. I’m so glad I got the chance to do this volunteering, and I’m planning on doing much more of it as a way of gaining insights, experiences and skills in areas that I want to develop career wise. These include communication, teaching and writing experience. So if you know of anything going, let me know. Do you volunteer? And if so how much time do you spend volunteering? I know I would need something relatively flexible to work around all the Europe trips I’m planning. 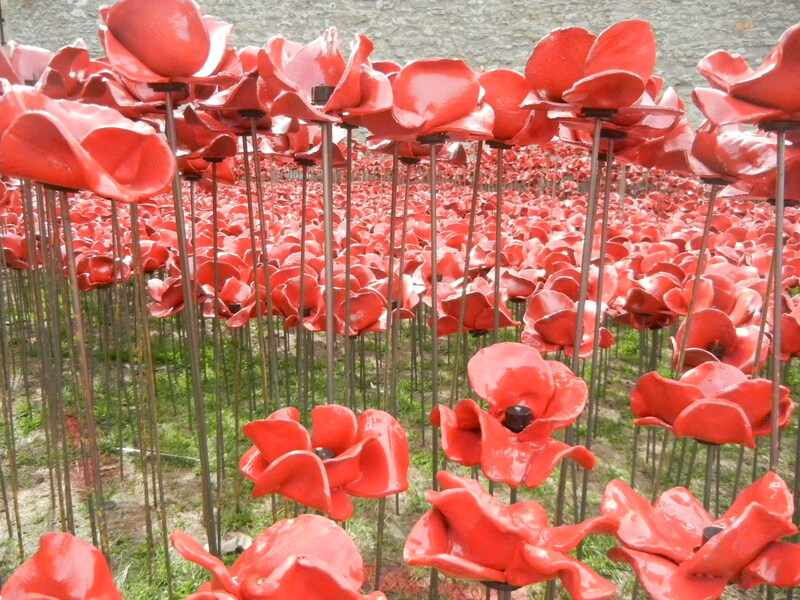 This entry was posted in Growing Up and tagged Paul Cummins, tall poppy, Tower of London, Tower Poppies by andieinspired. Bookmark the permalink.